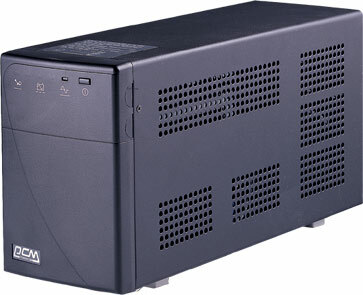 Black Knight UPS - A reliable workhorse of the power protection business. Large VA range for increased versatility. The productivity of your business depends on the flawless operation of servers and workstations. And to make sure they stay up and running, no matter what, you need perfect power protection. With a Black Knight UPS, you get the protection you need. To find out more about Alpha Energy, visit www.alphaenergy.com.au. Black Knight 400VA, Line Interactive UPS Technology, Simulated Sinewave MSW, Buck & Boost AVR, 2 x Aussie 3 pin outlets, USB interface & Upsmon Software, Tower, USB Communications and 2 Year Warranty. Dimensions (mm): H135 x W97 x D260, 5.95kg. Black Knight 600VA, Line Interactive UPS Technology, Simulated Sinewave MSW, Buck & Boost AVR, 2 x Aussie 3 pin outlets, USB interface & Upsmon Software, Tower, USB Communications and 2 Year Warranty. Dimensions (mm): H135 x W97 x D320, 7kg. Black Knight 800VA, Line Interactive UPS Technology, Simulated Sinewave MSW, Buck & Boost AVR, 2 x Aussie 3 pin outlets, USB interface & Upsmon Software, Tower, USB Communications and 2 Year Warranty. Dimensions (mm): H135 x W97 x D320, 7.1kg. Black Knight 1000VA, Line Interactive UPS Technology, Simulated Sinewave MSW, Buck & Boost AVR, 4 x Aussie 3 pin outlets, Serial interface & Upsmon Software, Tower, USB Communications and 2 Year Warranty. Dimensions (mm): H192 x W130 x D382, 14.8kg. Black Knight 1500VA, Line Interactive UPS Technology, Simulated Sinewave MSW, Buck & Boost AVR, 4 x Aussie 3 pin outlets, Serial interface & Upsmon Software, Tower, USB Communications and 2 Year Warranty. Dimensions (mm): H192 x W130 x D382, 17.3kg. Black Knight 1000VA, serial connection model. Line Interactive UPS Technology, Simulated Sinewave MSW, Buck & Boost AVR, 4 x Aussie 3 pin outlets, Serial interface & Upsmon Software, Tower, 2 Year Warranty. Dimensions (mm): H192 x W130 x D382, 14.8kg.